Mon-Sat contract reassigned to Stagecoach Selkent operating from Bromley (TB) - Sunday remained with Kentish Bus but frequency increased. New contract awarded to Metrobus operating from their Orpington base. Crew changeover point Crown Lane ? 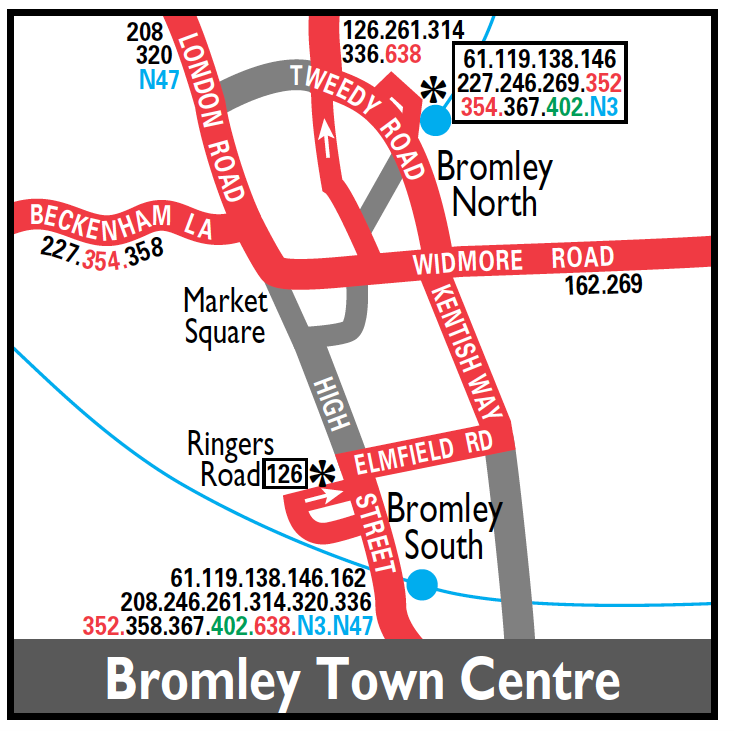 Current changeover point is at Bromley Common / Crown Lane and Bromley Town Hall for meal reliefs. The changeover point was at Dartford Garage as the route was interworked with the 476/477. 476 or 477 Dartford Garage to Bromley North. 320 Bromley North to Biggin Hill return. 476 or 477 Bromley North to Dartford Garage. If no 320 then we had an hour or so kill in Bromley.